A NorCal native, Katherine Sarafian was born in 1970 and raised in San Leandro, California. Her religious upbringing and Armenian heritage play a foundational influence in her life. Her Father Rev. Fr. Mesrob Sarafian was a pastor at Saint Vartan Armenian Church in Oakland. He passed in 2009, during the production of Brave. Her mother Alice is quite active in the community. Two years ago, the amazing Katherine Sarafian was honored at the AIWA-SF kick off gala. Her energy, inspiration and motivation were tremendous. As we prepare for this year’s event, we were so excited that Katherine agreed to share her experiences with the broader AIWA-SF community. This years event will be on November 15 and will celebrate “Armenian Women Preserving Cultural Heritage”, tickets for the event can be purchased here. There are a lot of recent literature and headlines on the topic of “Women Having it All” and “Working Moms.’” You seem to have it all- how do you do it and what guidance can you share on the “having it all” topic? 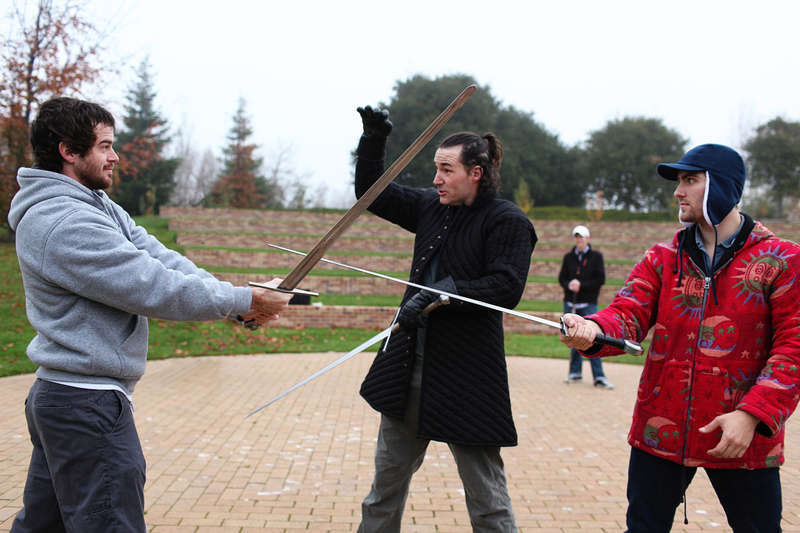 Often people say juggling it all or balancing it all and that’s not the reality for me. There is no balance. I grew up believing that I “could have it all” and now that I do “have it all,” it’s not a balancing or a juggling act. The pendulum swings: there are hours when I’m a great Producer and hours when I’m a great Mom, but not both at the same time. If it looks smooth then it’s all smoke and mirrors because it’s messy and hard. Really, I have my husband, Meher Gourjian to thank for holding it together. During Brave, he made the decision to change his role and work schedule so that if I had to travel, he could be home with the kids. His mom and my mom were also a tremendous help. It really takes a village, and having that community makes all the difference. Being a working mom is hard and tricky. God bless grandmothers! Congratulations on the Golden Globe and Academy Award for Brave. It was a proud moment for all Armenians because of what you represent. Can you share a little bit about what happened post-awards? Honestly, we felt deeply blessed by getting the Golden Globe. I was so honored to share the stage with Director Mark Andrews—his speech represented our crew and our studio beautifully. Since we had won the Golden Globe, we thought we were done and truthfully were not expecting the Academy Award at all. It was a very proud and exhilarating moment when we were awarded the Academy Award and seeing Directors Mark Andrews and Brenda Chapman accepting the award was amazing! 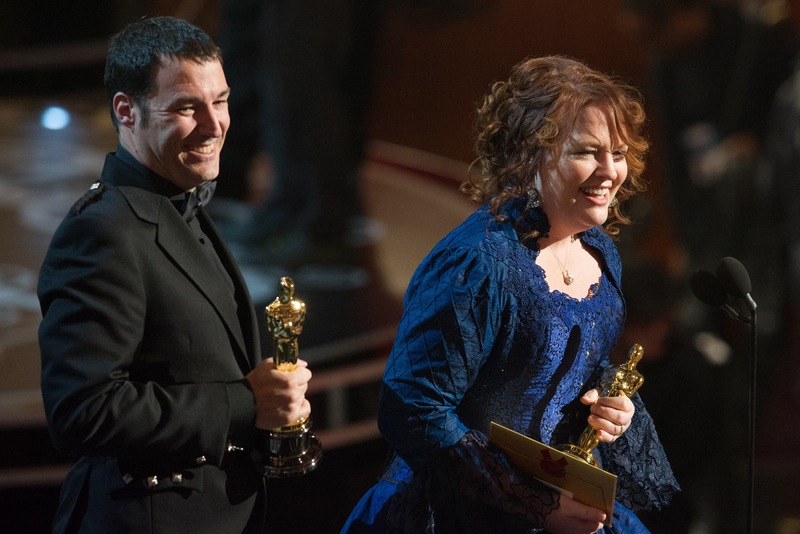 (Brave Wins Best Animated Feature at the 85th Academy Awards). Brave was a hard, emotional movie to make. At Pixar we really don’t make movies for awards, we make them for the people. Having it recognized and having it come together was awesome. We had a great reception from Pixar when we returned. 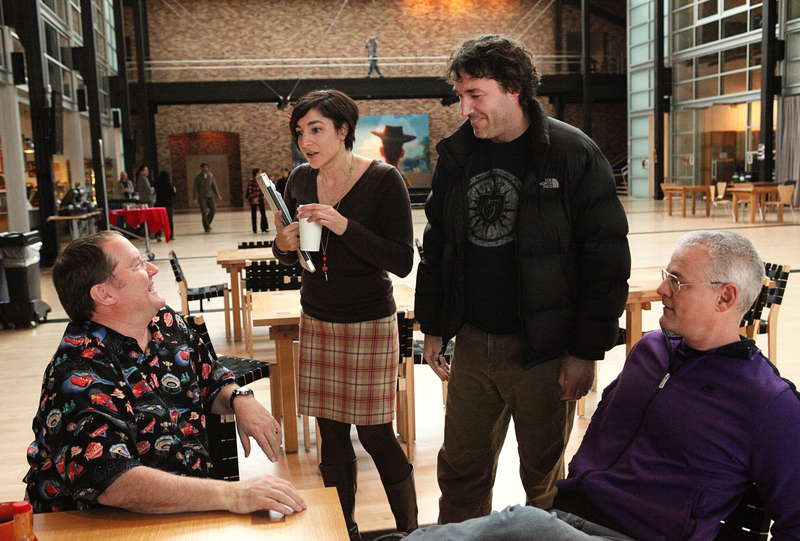 Pixar is an awesome place to work because it’s really a home base for a lot of artists who have longevity, and this creates a tremendous community. Thus, we all feel like we succeed and fail as a team so the Oscar was really a team win. When we got to Pixar the next morning, there was a celebration in the Atrium and we were told they were not ready for us yet, so we went to Baskin Robbins and enjoyed an ice cream. When we returned to the Atrium, the entire company greeted us with champagne. Mark Andrews carried the Oscar on stage. There was a bag-piper, and we enjoyed a company-wide toast. That day and for 4 days after, we made both the Golden Globe and Oscar statuettes available for photo opps with any and all Pixar employees who wanted a picture; it’s awesome that Pixar really values the tradition and celebrates community awards. Getting such overwhelming recognition from the community was remarkable, and reminds me that when an Armenian succeeds, we all share in that success as a community. You talk a lot about faith, family and the Armenian culture. Can you share some thoughts here? The Armenian community was and has always been hugely supportive. Of course there was a reception at St. Vartan and a write up in the parish newsletter about the awards Brave won. I have given a lot of career talks as many want to be part of the conversation, and I welcome that. We have had such awesome support from organizations like AGBU, Young Professionals and AIWA. Yerevan Magazine did a cover story. When we won the Golden Globe, our phones were buzzing with texts and calls of congratulations. Armenians from all over called the office and sent emails saying how proud they were for the win. I think Armenians are the ultimate underdog and so we gravitate towards all things Armenian. Getting such overwhelming recognition from the community was remarkable. 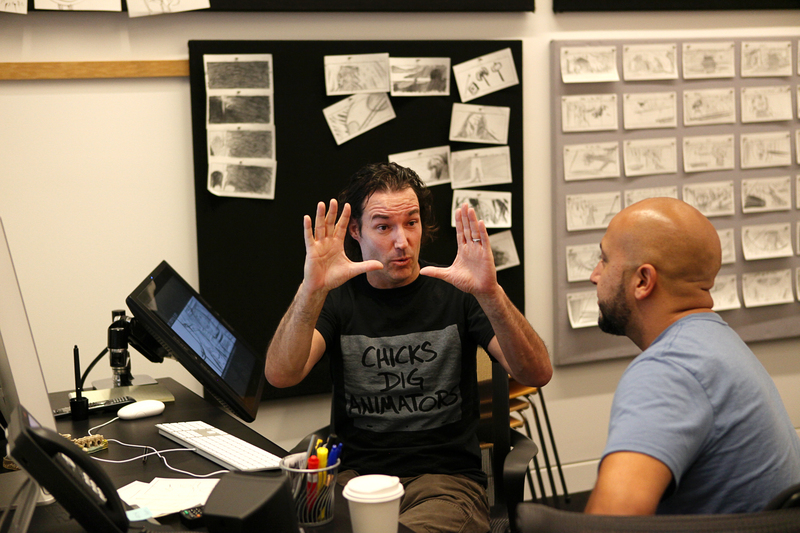 You have worked on a lot of successful films including Bugs Life, Toy Story, The Incredibles, etc. Can you share a bit about your career and how things lead to Brave? I always had my eye on Pixar and I knew I wanted to work there. Even when I was still a Masters student at UCLA I was sending my resume to Pixar. It seems so silly to say now, but I did not do all my research like applicants do today. I knew I wanted to be at Pixar because they were doing cool things in arts and technology and I wanted to be a part of that. 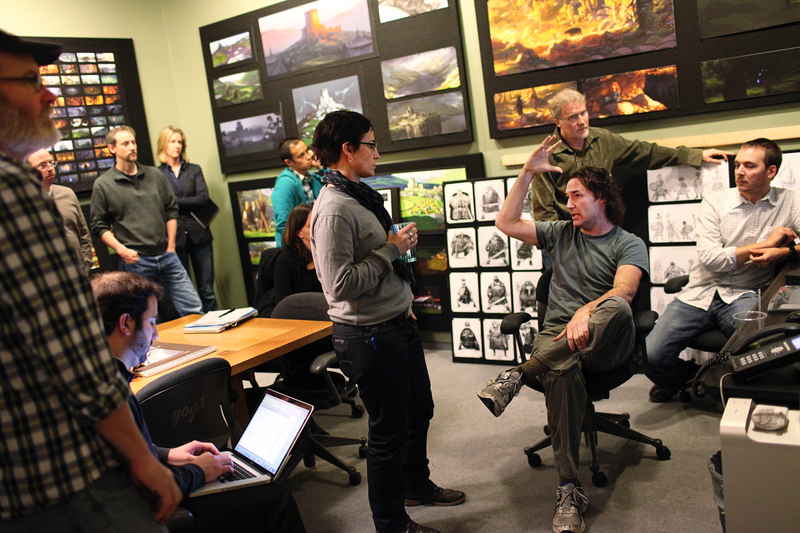 I learned that they worked on animated feature films when I was interviewing. As an assistant at Pixar, and my first assignment was Toy Story. I was really lucky to be a part of it. Looking forward, I would look for assignments where my talents and skills are needed. As I became more Senior, assignments became more about the chemistry of the team. 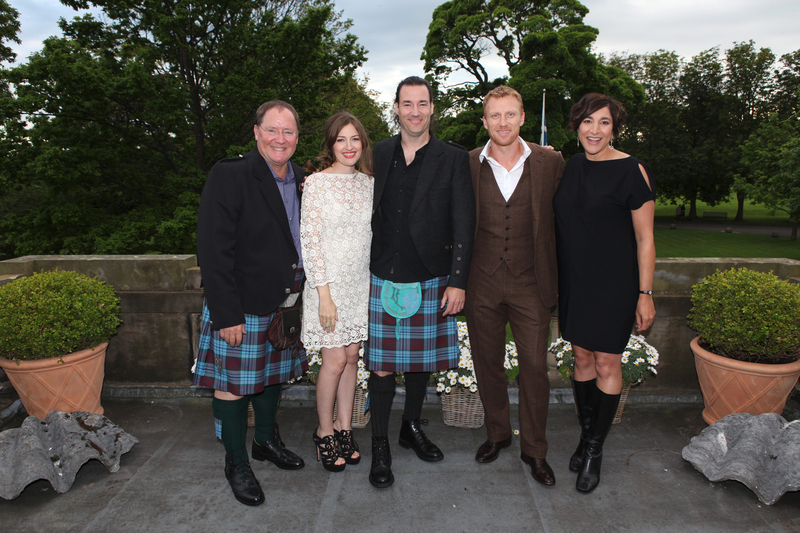 In 2005-2006, I moved to help get a lot of development projects off the ground and I was invited to go to Scotland. What I did not know then was that this was really a match making by Casting Director, Kevin Reher and Brenda Chapman to see if there was a Director/Producer partnership for Brave. And there really was. It was very exciting to be part of such an emotional story as this was the first time we had a female driven character in Merida. Chemistry was critical; Brave took over 5 years to complete. It’s a long haul so you really need to have that family community and chemistry to be successful and feel fulfilled. What words of wisdom do you have for today’s youth? Is there anything you wish someone told you sooner? Yes! Growing up I had a real confidence problem. If I had a feeling, I would immediately draw up a pros and cons list and turn my feelings into facts. I over thought a lot for a very long time without realizing the importance of listening to my instincts. Every decision is tricky and very little is actually black or white, 80% is feeling and 20% is facts. Character development requires a lot of instinct, like Merida. During the making of Brave, we would ask ourselves, how we felt about the character, would the audience want to spend 80 min with this character during the film? I saw the team enduring this daily and through this I learned the importance of listening to the voice inside and trusting instincts. Even if the outcome isn’t great, it’s OK, just do it again. But go forth with confidence and listen to the voice inside. Are you able to talk about your current projects? I am working on a few projects but I can’t share anything about them. I feel very blessed to work at Pixar and am excited for the 2015 films that Pixar is releasing like Inside Out which will release in U.S on July 19, 2015. Academy Award winning director Pete Docter will take audiences into the mind of an 11-year old girl named Riley, who is uprooted from her Midwest life when her father starts a new job in San Francisco. On November 25, 2015, Pixar will release The Good Dinosaur. 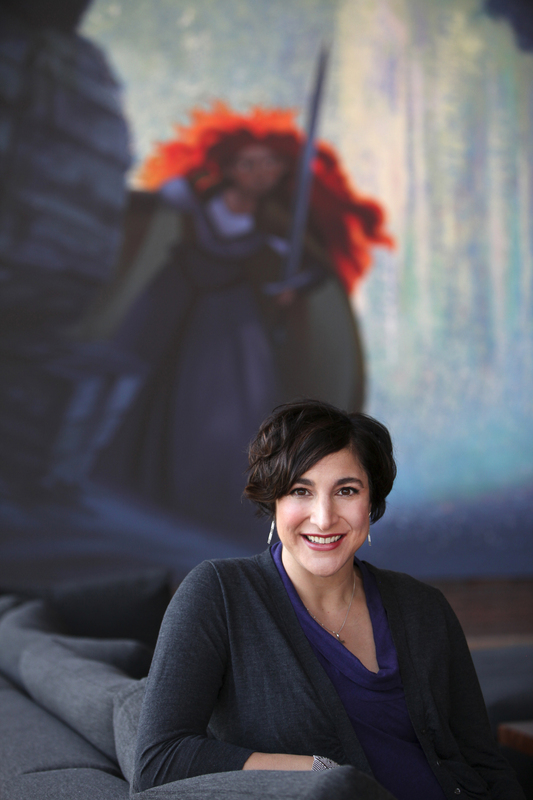 At AIWA-SF, we are a huge fan of Katherine’s and are inspired by all she represents– a successful Producer at Pixar, mentor in the community, loving wife, mother, sister and daughter. We are thankful to have such an example within our community and thank Katherine for sharing part of her journey with us. Such a beautifully written article regarding a lovely person.